Flip ladders are a must for rough or salty water. When not in use the bottom of the ladder can be easily removed from the water. 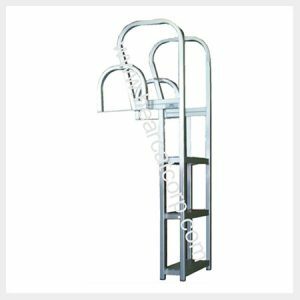 These ladders feature 3, 4 or 5 step options. 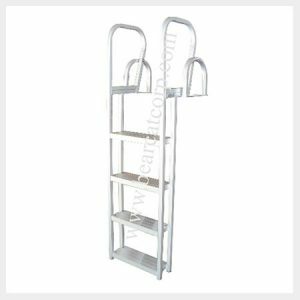 All of our ladders use 16″ wide x 5″ deep non-slip steps. 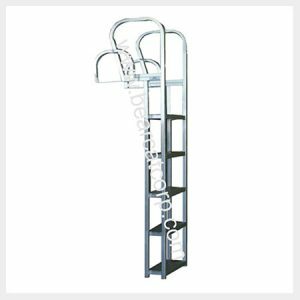 Ladder features include 201R1 clear anodized aluminum. Assembly is required and mounting hardware is included.